Cylinder blocks usually require machining following some sort of engine problem or failure. This can include a re-bore due to mileage related wear which results in high oil consumption and loss of compression, cracked bores and distorted sealing faces resulting from severe overheating, and distorted or out of alignment bearing housings following crankshaft failures. After suffering any such failure your cylinder block will require attention by an engine machining specialist such as HT Howard. Cylinder Blocks requiring boring are set up on our BERCO AC650M vertical boring and refacing machine. First, the block is mounted and clamped down, then using a dial gauge each bore is centralized in turn and checked for parallelism. 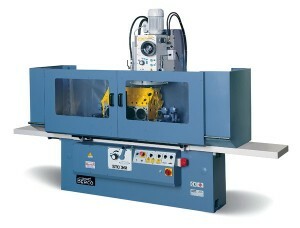 The cutting head is set to the required size before each bore is machined in turn. During this operation a small amount material is deliberately left in the bore to allow enough for removal during the final honing process. Each cylinder is checked for size with a cylinder bore gauge. Where available, torque (or deck) plates can be used to replicate the the tightening forces of the head bolts. More often used in specialist/race applications the addition of these plates helps to ensure the bores are machined in a pre stressed state which means that they will conform exactly to their specified dimensions once the cylinder head is fitted. Main bearing caps can be installed during the machining process for the same reason. Once bored the cylinder block can be refaced on the BERCO AC650M without the need for a different set up or transferred to our dedicated BERCO STC361 head and block refacing machine. We also offer big bore machining and specialist services including alloy wheel offset machining. Damaged or cracked cylinder bores are usually repairable using dry type cylinder liners. Any offending bores are machined oversize to accept the liner sleeve. The bores are then honed to the exact size required to give a small interference fit on the liner once it is installed. Some liners are available to suit specific applications but if these are not available then generic liners can be supplied in a wide range of nominal sizes and machined to suit almost any engine. If required the new cylinder liner is machined for length before being pressed into the parent bore. For security, flange top liners are sometimes available but we can also machine the block with a security step at the bottom of the bore to ensure the new liner remains in place whatever the circumstances. 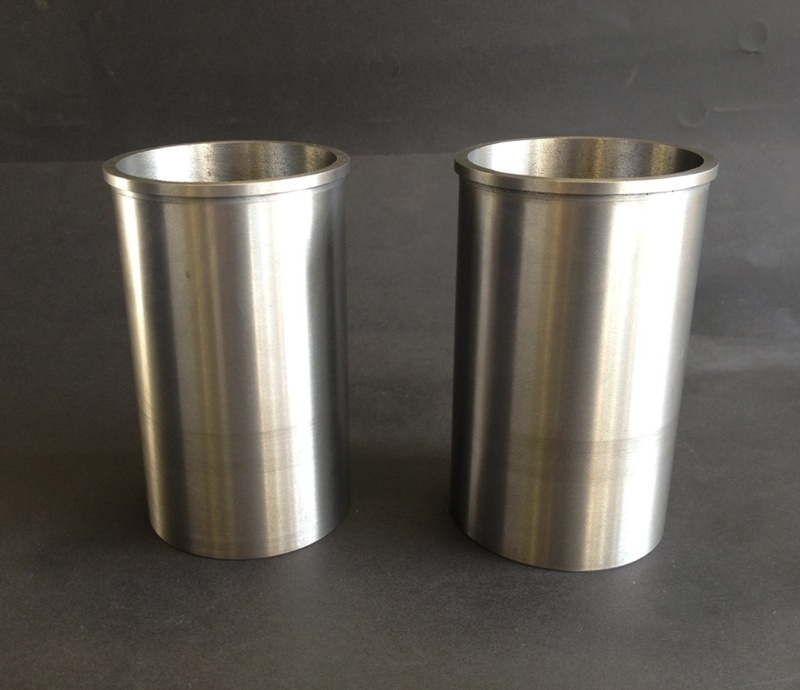 Cylinder liners are also available for the repair of alloy blocks, sometimes even for those with no liners as standard. After liner fitting the cylinder block will require refacing to ensure the correct gasket seal. 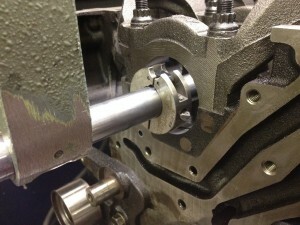 Following a re-bore, or prior to fitting cylinder liners, the block will require honing. This process removes a small amount of material from the surface of the bored hole to ensure the exact correct size for the new pistons or liners to be installed. For a finished bore, ready to accept new pistons, the honing machine is used to give the required plateau finish, and cross hatch pattern on the bore surface which aids bedding in and also gives the best finish for oil retention. During honing, each cylinder is constantly checked for ovality and taper throughout its length using a cylinder bore gauge. This ensures that it remains within the correct sizes and tolerances . While not strictly speaking a cylinder block machining operation, the correct setting of piston ring gaps is essential to the performance of any rebuilt engine and should be checked to make sure they are within the recommended tolerances for the application concerned. Uprated or high performance engines will require larger than standard gaps while standard engines should have accurate ring gaps for good efficiency, performance and emissions. 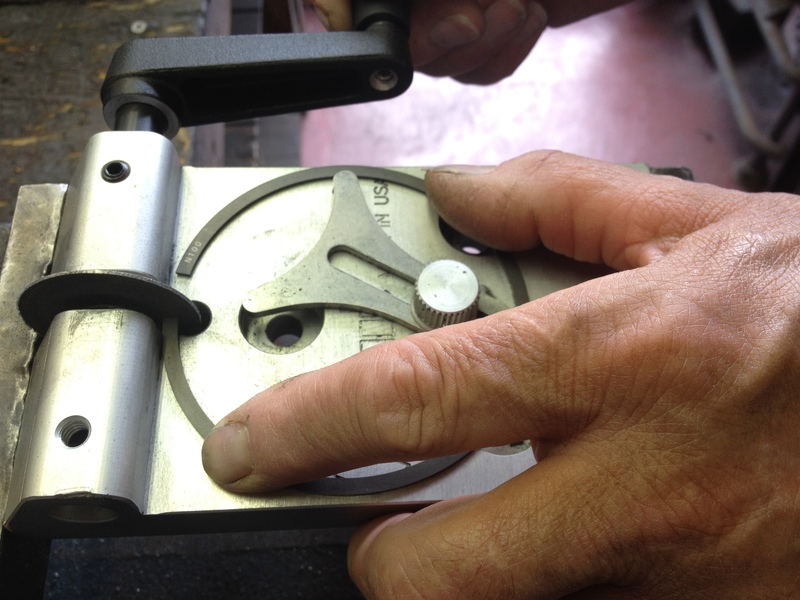 Ring ends are ground using a special jig until the correct gap is achieved. Cylinder blocks can suffer distortion in the head gasket sealing surfaces in just the same way that cylinder heads do. Generally speaking the method of repair is similar too. 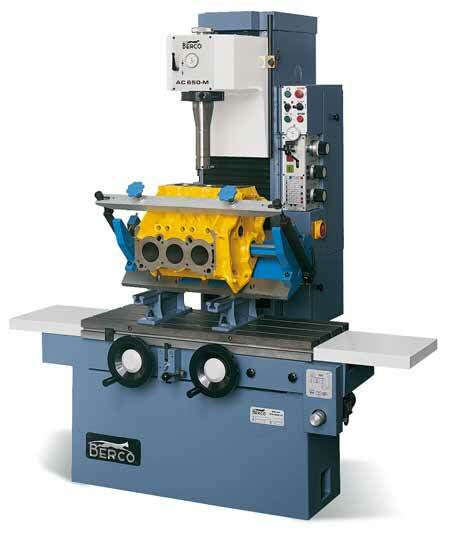 For blocks needing machining we use our BERCO STC361 head and block refacing machine. Equipped with the latest CBN single point tooling, the machine is capable of achieving the critical surface finishes required by the latest multi layer steel head gaskets for both cast iron and alloy blocks. Cylinder blocks with damaged main bearing housings can often be repaired by line boring. Using our BERCO BT6 machine the main bearing housings can either be bored oversize if suitable bearings are available or resized to standard after first machining the parting line on either block or cap in order to close the diameter and give some material for removal. We can also machine and line bore steel caps and fit strengthening straps for racing applications.